Have you just been told you have a posterior baby? Even though you not quite sure what that means, your caregiver wasn’t positive about it! So what’s everyone’s deal with baby’s in the posterior position? Well, essentially they are facing ‘the wrong’ way for labor. Ideally, your baby should be facing head down with their back against your tummy. This is also known as the occiput anterior or OA position. A poster baby is facing head down but with their back against your back. Officially known as the occiput posterior or OP position. Babies can be born in the posterior position. It typically makes everything take a lot longer. That’s because the angle of the head doesn’t match those of your pelvis. The uneven posterior position also makes it hard to dilate your cervix evenly. In fact, there are many reasons you’re gonna want to avoid a posterior baby. Now, I know that all sound very serious, but don’t panic. Babies can be born perfectly healthy in the posterior position. However, it’s best for you and baby if you can avoid posterior labor. 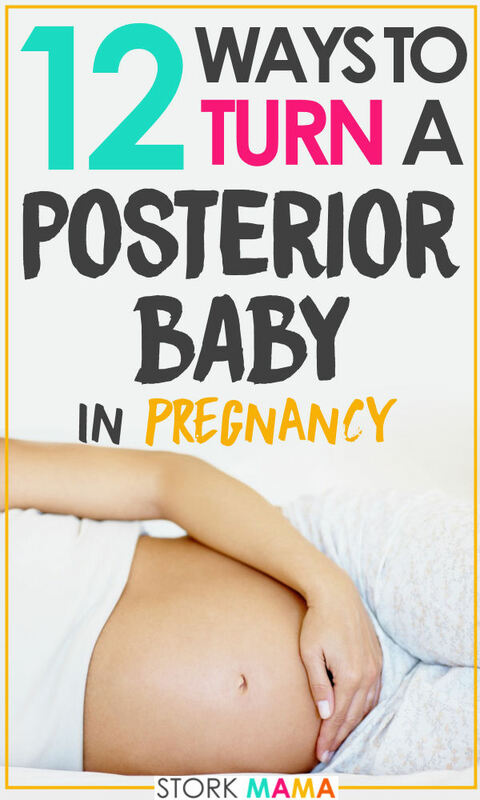 This guide is to teach you 12 easy tips and tricks to avoid a posterior baby in pregnancy. Or even turn your baby into the anterior position. The easiest way to prevent or correct a posterior baby is to be mindful of your posture. Modern life makes it easy for you to do a lot of slouching. Comfortable sofa’s, contoured car seats and reclining office chairs. These all make it so easy for your baby to turn to the posterior position. Think of your body like a hammock for baby. Their back is going to turn to the position you tilt your body. These tips will show you how to do this every day without thinking about it. Modern car seats are terrible for your posture in pregnancy. Take a look at your car seats from the side. Do they tilt downward, bringing your knees higher than your bottom? Sure that makes your car seat comfortable, but it also tilts your pelvis at a bad angle for baby. It’s important you change this, especially if you drive a lot, or have long commutes to work. The best way is to use a car seat wedge (like this one). They help to tilt your pelvis into the correct position and are super comfortable to sit on. You’ll probably notice a huge improvement in any back pain you have when you start to use a car seat wedge. I know that when you’re pregnant, you want to snuggle up and lie around on the sofa. This baby making business is hard, right? Well, sorry to tell you but you’ll pay the price for lazing around too much during pregnancy. In fact, you can use this time to turn your baby and keep them in a great position. I recommend using a birth ball instead of the sofa when you’re watching TV. This Brand has high quality balls at a great price. Birth balls help to keep your back upright and prevent the ‘hammock effect. A ball base is a good idea to stop your ball rolling away everything you stand up. Another great tip is to use a high backed dining chair and sit on it ‘back to front. The high back can be used to lean on. That helps your belly to tilt forward, and your baby’s back will follow. Avoid sleeping on your back during pregnancy. If you’ve been following the other tips, you’ll know it will cause your baby to ‘swing’ to your back. Sleeping on your tummy seems the best options. But we know that’s pretty impossible with a big pregnant bump. By the way, if you are a front sleeper and can’t get comfy in any other position. You might consider the Cozy Bump, to get a decent night’s sleep. The best way for you to sleep during pregnancy is on your left side. But your right side is good too if you find it more comfortable. Keep your knees separated with a pillow. 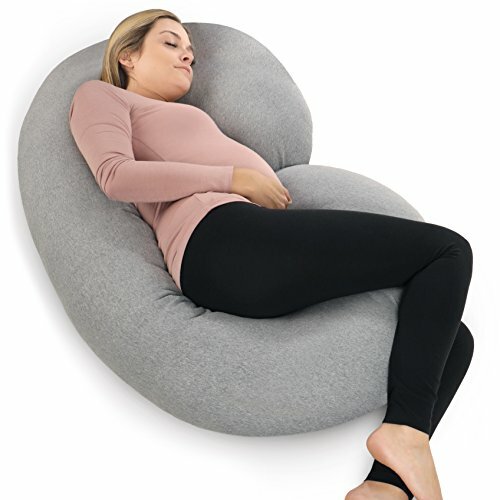 Honestly a good pregnancy pillow will be your best friend in the third trimester. A pillow will keep your hips from twisting forward and give your baby more room to stay at the front. Always be mindful of any posture that keeps your knees above your hips. You’ll find these positions when you’re sitting or exercising. That means avoiding squatting or crossing your legs unless you know your baby is facing forward. If you do a lot of sitting, especially at work, consider using a kneeling posture chair. They are great for keeping your knees low and your back upright. 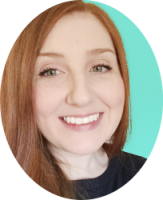 Are you getting a lot of back pain during this pregnancy? If yes, then try a belly band. 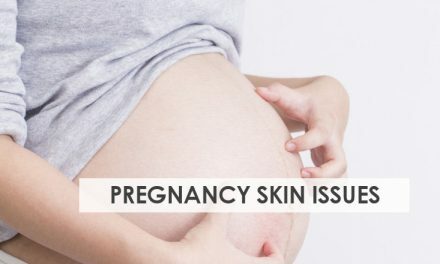 The stain pregnancy puts on your muscles is a well-known cause of what’s known as round ligament pain. This type of pain can cause your muscles to seize up and make it difficult for your baby to move into an anterior portion. A pregnancy support bands will support these muscles and alleviate the pain from the strain. That support can help them to relax a little and encourage your baby to move into the right position. If you’re looking for a good one to buy, check out the Neotech Maternity Belt. It’s a highly recommended favorite and Amazon bestseller. Did you know that babies love their back to be warm, even in your womb? Take advantage of the knowledge to try and get them to shift. You’ll need two hot/cold packs, these ones are good for this. Heat one pack up and freeze the other pack. When they are ready, place the cold pack on your back and the hot pack on your tummy. Do this technique as often as you can during the day. You can even try it together with the other tips on this list. Your baby should want to turn their back towards the warmth and end up in the best position. Just as a side note, these packs are also great to use for labor pains and postpartum healing. 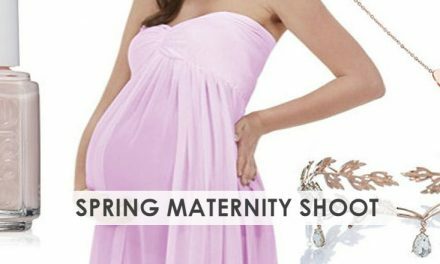 They are cheap to buy but great for all sort of maternity uses. An excellent homeopathic remedy to consider is Pulsatilla may be your answer. It’s a common remedy prescribed by homeopaths for turning breech and posterior babies during pregnancy. Pulsatilla works by slightly relaxing the muscles of your womb to help your baby turn. You’re best to use it from 36 weeks and after. Before this time, your baby still has plenty of room to move about easily. You can takePulsatilla as granules, tablets or a liquid. The most common dose is 30c once a day. However, I’d advise you to discuss dosage options with a trained professional. It’s a great option to calm you, especially if your posterior baby is making you anxious about giving birth. Rebozo sifting is an ancient technique used by Mexican midwives. The idea is you help your baby to turn to the anterior position. Sifting is done using a large Mexican shawl (like these beautiful ones) to shake your tummy from side to side in a rhythmic way. This sifting motion helps to relax muscles that you can’t do yourself. Once these tight muscles loosen up, your baby can move around easier. Now, I’m no expert on rebozo sifting, but I can tell you someone who is. Gail at Spinning babies has a fantastic article on using a rebozo to get your posterior baby moving. In fact, the whole spinning babies’ website is a fantastic resource for getting your baby to turn the right way around. I’ve already told you how pregnancy can cause tight ligaments which can lead to a posterior baby. But what if you have ongoing muscles issues before you even got pregnant? Think about it, have you ever had a bad fall or an accident that flares up every so often? Then you probably have myofascial issues that need more professional treatment. A chiropractor will be able to deal with these for you. The treatment that shows the most promising results is the Pelvic Diaphragm Releases. This incredibly light touch massage is enough to release chronic tensions in your muscles. Once this tightness is released, your baby has that extra room to move from posterior to anterior. Swimming is an excellent exercise for pregnancy. However, do be mindful of choosing tummy down strokes. Again think of your tummy as a hammock. If you are doing backstrokes, you’re wasting a chance for your baby to turn their back to your tummy. The water takes a lot of pressure off your back. Swimming also helps to support your muscles. That feeling of weightlessness on your body will relax those tight muscles and ligament which are usually preventing your baby from getting the right way round. You know how everyone tells you to rest and put your feet up during maternity leave? Try to get at least 30 minutes of daily activity in your third trimester (unless you’re on bedrest). Keeping upright and active is the best way to get your baby into the right position. Great options are walking, yoga and swimming. These exercises are gentle enough for pregnancy. 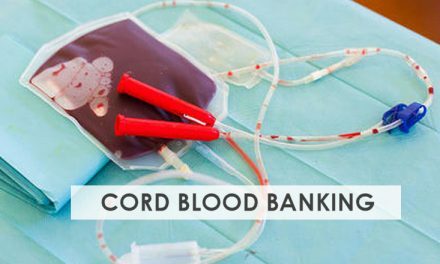 They also prepare your body for birth and will aid your postpartum recovery. Ok, you’ll probably hate me for this one. Crawling on your hands and knees is awesome for turning your posterior baby. Some experts recommend scrubbing your floors, which you may enjoy doing if you’re nesting. If the thought of scrubbing floors fills you with dread, there is another option. You can do a move called ‘pelvic rocks.’ If you’re a yoga fan, it’s the Cat Pose. I recommend doing it twice a day for 10 minutes each time. This video will show you how to do it safely. The posterior position isn’t a great start to labor for you or baby. The quicker you can resolve it, the better it will be for you and baby. 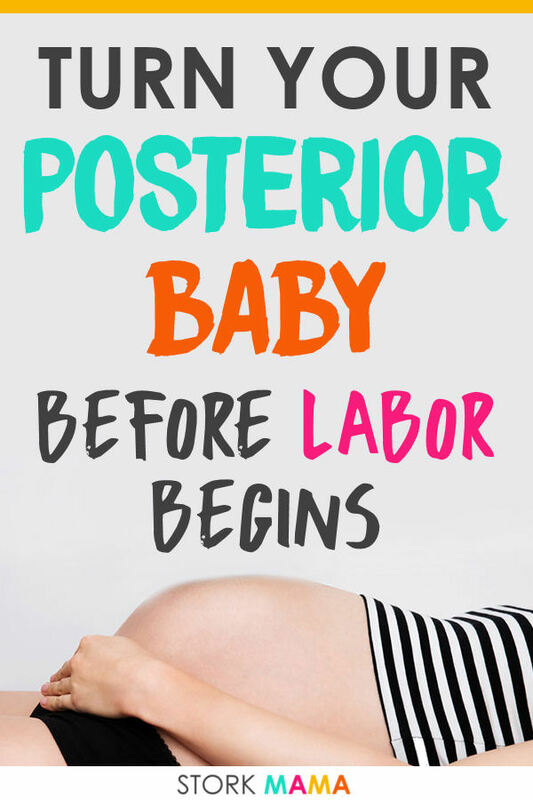 I hope these tips and tricks help your baby get into a good position at the start of labor. The important thing is not to get too stressed if your baby doesn’t move.